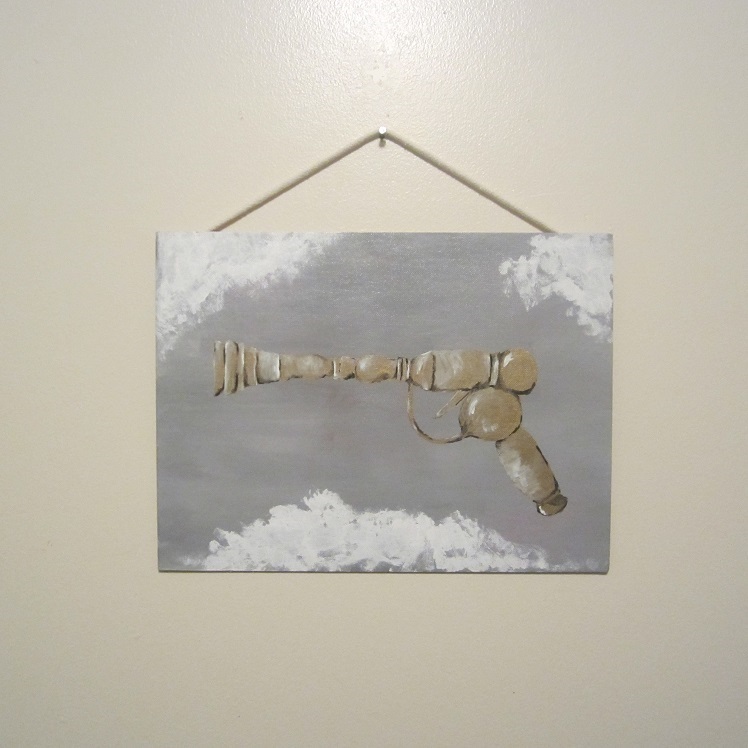 Paintings: Sloth and Steampunk Gun! I finally got around to adding the rope to a couple of paintings I did to hang in our living room! I wanted to have a little Victorian-ish look to the display method, so I knew hanging them this way was the way-to-go! The first is a sloth, because my hubby’s favorite animals are sloths! 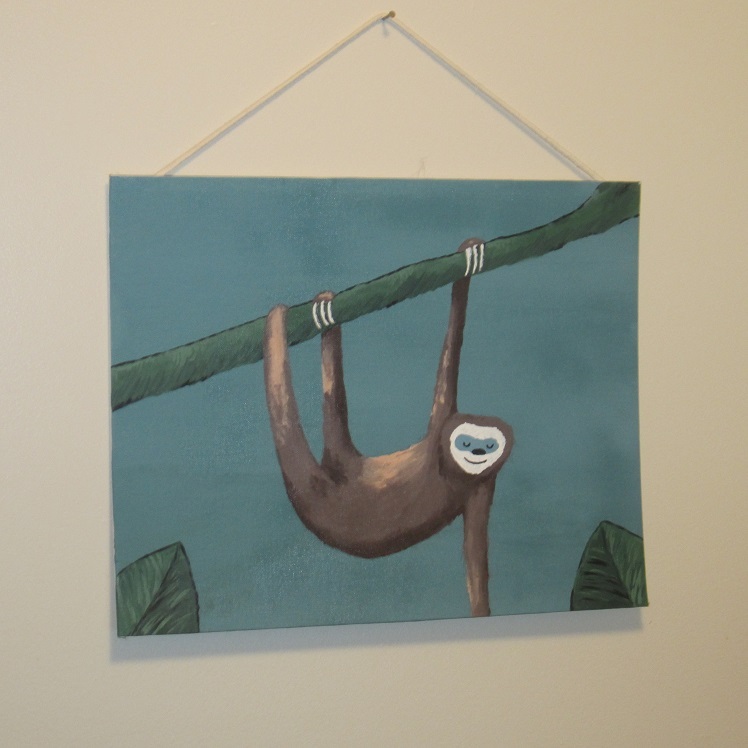 I found a painting like this online once, and I just kinda mimicked his slothy posture and made one of my own! The second is a steampunk gun! I was so happy with the gold paint I bought a long time ago! I had to paint everything gold for a short spam of time just to get it out of my system! This entry was posted in Uncategorized and tagged art, create, display, gun, hanging picture, laser, painting, punk, sloth, steam, steampunk, Victorian. Bookmark the permalink.